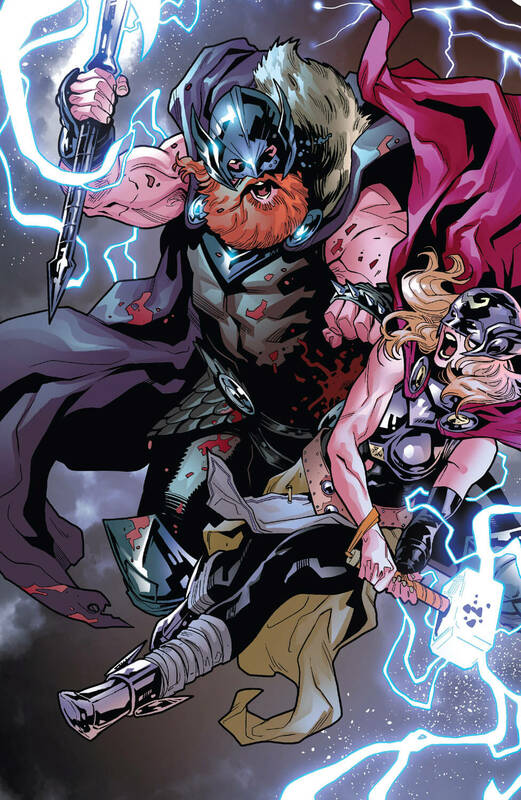 Odinson and the Mighty Thor witness the rise of War Thor as he unleashes his fury of vengeance against Queen of Cinders. Representing the Congress of Worlds; Senator Milkmane, Senator Roz Solomon and Volstagg travels to the land of Dwarves, Nidavellir to check on Light Elf refugees left behind. Volstagg was slightly disappointed seeing no welcoming feast for him. He quickly realizes how the refugee kids have been starving for a while and invites them to share his food with. As they were all discussing about what should be done in the aftermath of war, suddenly they are hit with a fiery blast with the sound of the infernal horn and then some more. Meanwhile, Jane Foster pays Odinson a visit on old Asgard to finally talk about issues of her secretly being The Mighty Thor and now wielding his Mjolnir for all this time. All of these bother him because they used to be lovers once and Odinson suspects she did it to get back at him. She wanted to tell him about how the cancer in her body is slowly killing her all along but couldn't have sum it up. As they speak about themselves, mighty Mjolnir falls from the sky and Jane immediately senses that there is trouble in Nidavellir. Senator Milkmane instantly perished on hit of the first blast but Roz Solomon survived and somehow Volstagg finds himself unscathed among a few surviving refugee Light Elf kids, whom he took under his protection. The entire land of Dwarves gets on fire and Stonefoot informs Solomon that this fire of Muspelheim will consume all it touches before they could even find a shelter. Warrior Volstagg was guarding the kids to safety, when suddenly a Muspelheim Firefly rider lands in front of him with its Maggot Bombs. Before it could hear Volstagg pleading to spare the kids, the rider exploded the bombs in the name of their queen. Solomon and the Dwarves came looking for them but only found a traumatized Volstagg, because he was saved from the fire of Muspelheim as the Fire Goblin blood covered him at the time of the blast. In shock and awe, he wanders to the old Asgard as f something was calling him. 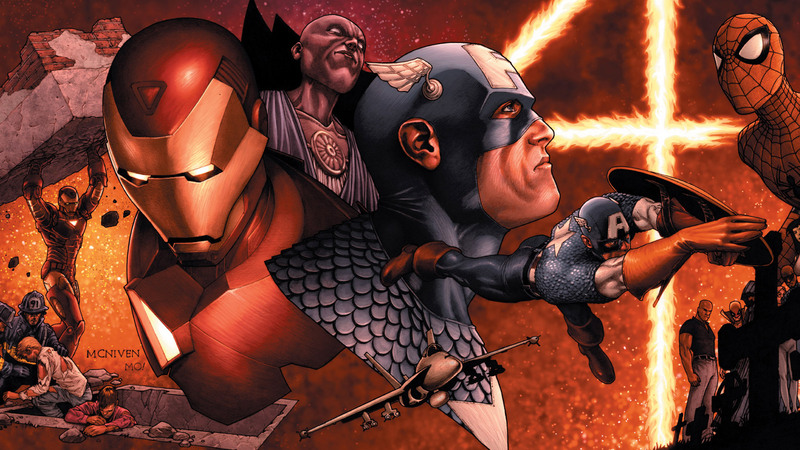 There, he found the Mjolnir from Ultimate Universe, which transformed him into The War Thor upon lifting it up. He charged into the waves of Fire Goblins on the burning mountains of Nidavellir and vanquished them all with his thunder. Amora, The Enchantress and King Ulik of the Dark Council attacks The War Thor only to quickly realize their mistakes before escaping. Back in Asgardia, Jane transformed into The Mighty Thor against the wishes of Odinson, suspecting urgency of the matter. 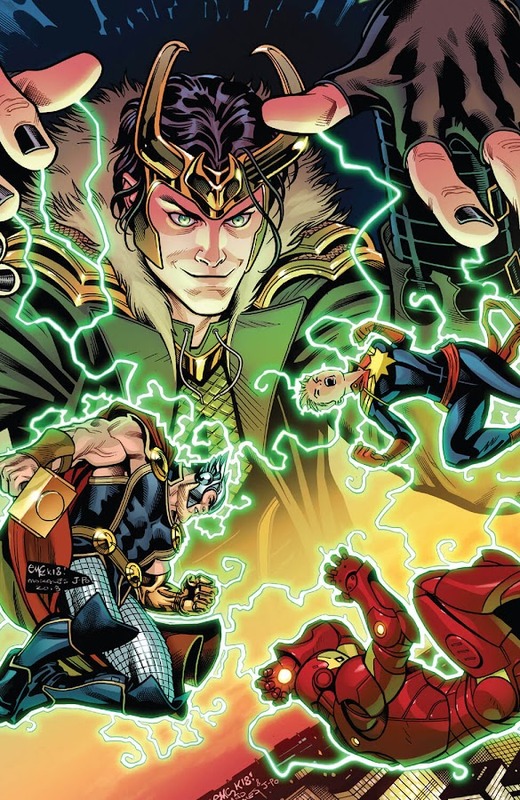 As Sindr, Queen of Cinders stirs her sinister plan with Loki and Malekith the Accursed, War Thor and The Mighty Thor goes on a brawl that will shake all ten realms. Here is your links to buy "The Mighty Thor – The War Thor" from Marvel Comics in issues on Amazon. 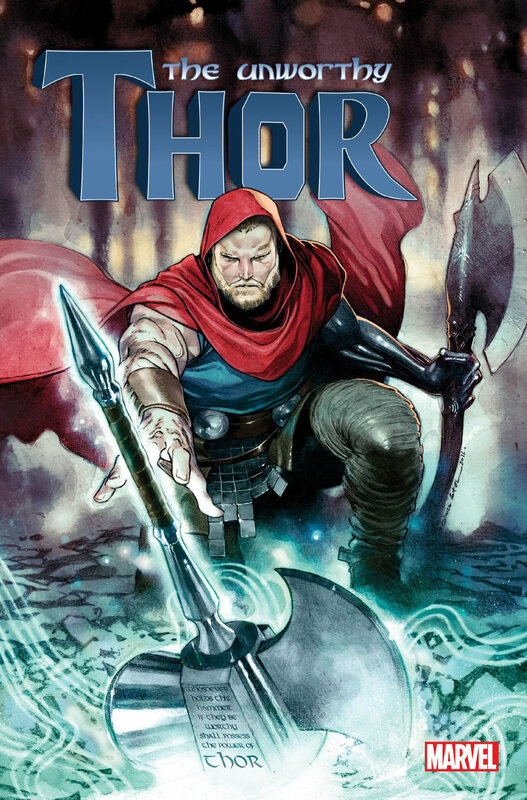 Here is your links to buy "The Mighty Thor – The War Thor" from Marvel Comics on Amazon. The arc of "The War Thor" takes place following Malekith's recent war on the second monthly ongoing volume of The Mighty Thor from Marvel Comics on 2018, collecting issues #20-23 of the series and includes an issue from "Generations" crossover event. 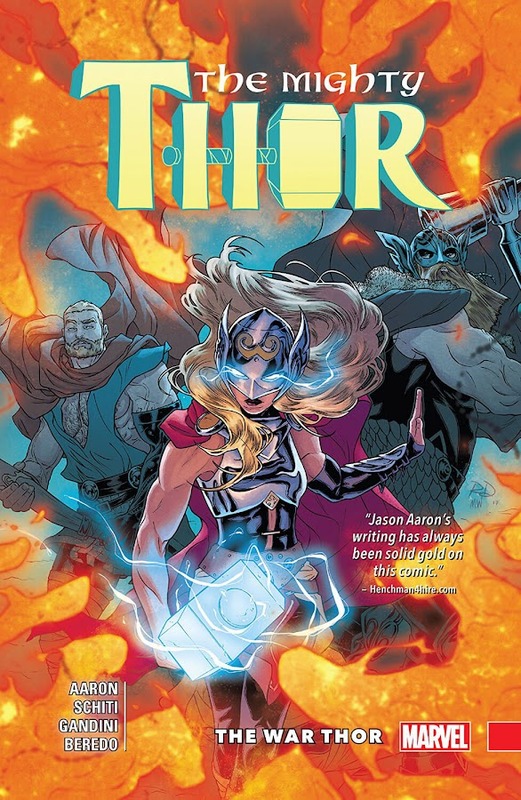 The storyline was created by writer Jason Aaron (Original Sin, Thanos Rising) with aid from artist Mahmud Asrar (All-New X-Men – The Ultimate Adventure, Wolverine and the X-Men – Tomorrow Never Learns), Russell Dauterman (The Mighty Thor – Lords of Midgard, The Mighty Thor – Thunder In Her Veins) and Valerio Schiti (Guardians of the Galaxy – Emperor Quill, Guardians of the Galaxy – Wanted). 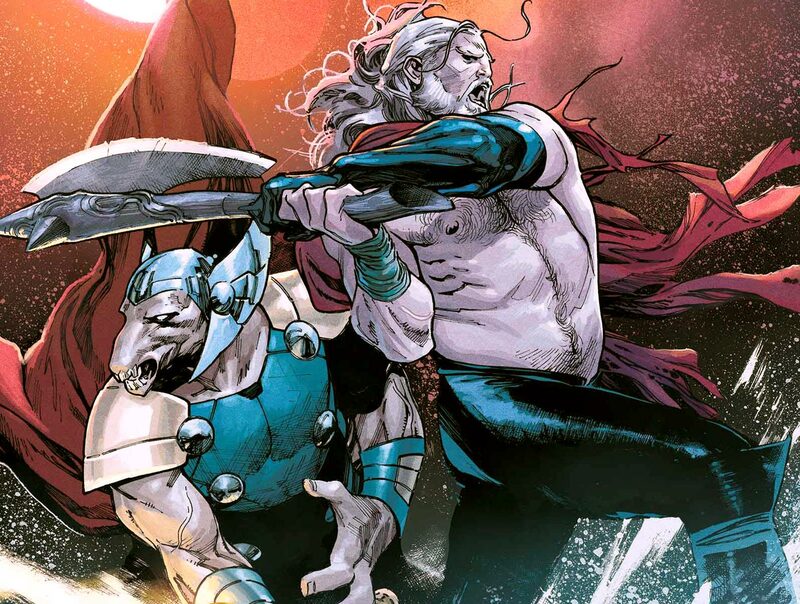 Events that took place during "The Unworthy Thor", when Odinson tried to stop Thanos and The Collector from getting their hands on the Mjolnir of Ultimate Thor are also referenced in the story. 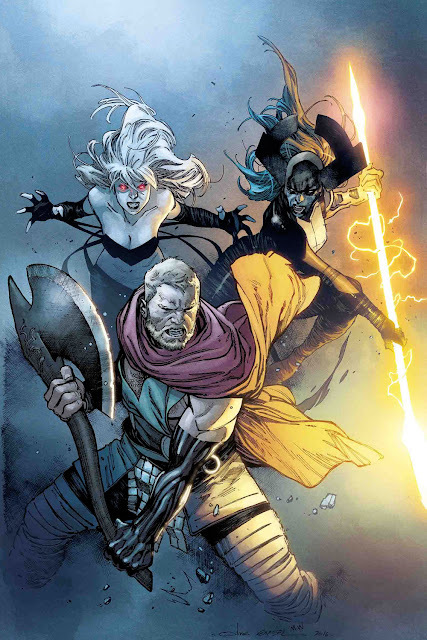 Plus, there is a great team-up between the Thor, who was worshiped by the Vikings and The Mighty Thor, the goddess of thunder. The powerhouse duo of these two takes on the eternal mutant Apocalypse in ancient Egypt. 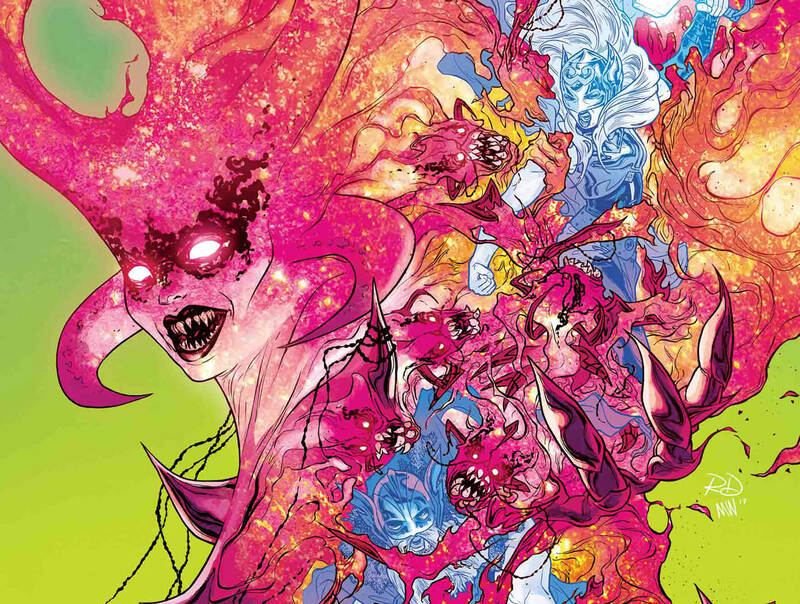 Plus, we got a brand-new villain in Sindr, the daughter of Surtur, who is up to ushering another "Ragnarok" and perhaps this time it will be the end of realms. For ages, The Mighty Thor has been master of lightning and bearer of his mighty uru hammer Mjolnir, until Nick Fury whispered something to his ears (during Original Sin), which was a long-kept secret by Uatu The Watcher that rendered him unworthy and he became unable to lift the mystic hammer. Since then, he has been tirelessly seeking means of wielding his trusted weapon once again by redeeming his worthiness. It dropped on surface of the moon and unsuccessful at reclaiming his right to wield Mjolnir, he is now going by the name Odinson these days. In quest for redemption, his new weapon of choice is a battle axe called Jarnbjorn and Odinson also starts using arm prosthesis made of Black Uru after it was chopped off in a fight against Malekith. A new female Thor started wielding the enchanted hammer while it rejected him again and again. Then Multiverse started collapsing and he aided The Avengers in their mission to save all but Odinson dies with Hyperion trying to oppose a wave of Beyonders (Time Runs Out). Realities clashed, Universe died and restored back as Odinson came to find Mjolnir again (Secret Wars). After dozens of satellites were damaged by some unknown forces, Odinson receives a call from Alpha Flight about this matter. He goes to investigate on moon and engages in a fight with a group of Trolls led by their leader King Ulik. Though he had his battle axe Jarnbjorn at hand, it isn't as effective in battle as Mjolnir was and after some struggle, he was able to force the Trolls retreat with a little help from his mystical pet goat Toothgnasher. Then The Unseen approached him on surface of moon, who informed Odinson about another hammer of a dead Thor of another world. Back at old Asgard, Odinson rushed there on Toothgnasher only to find it disappeared from its place. While he was wondering who could have done this, legendary Korbinite warrior and an old friend, Beta Ray Bill came looking for him. Seeing Odinson without his mighty Mjolnir, Bill offers his very own Stormbreaker to Odinson but the latter gently rejects this offer. As Bill was about to disclose the identity of the one who has taken over eternal Norse realm into his possession, the Brothers in Thunder came under attack. These two engages their attacking party and when Thor heads toward their transport ship, a powerful bomb from a lost civilization is dropped on him. When woke up, Odinson discovers himself in chains and the person behind his capture and Asgard's disappearance is revealed to be an elder of universe named Taneleer Tivan; The Collector. He wants Ultimate Mjolnir for himself and unsuccessfully tries to force Odinson into revealing way of lifting it. Soon, along with a mysterious hooded figure, Black Swan and Proxima Midnight of Thanos's Black Order sneaks into Collector's ship looking for the hammer. Here is your links to buy "The Unworthy Thor" from Marvel Comics in issues on Amazon. Here is your links to buy "The Unworthy Thor" from Marvel Comics on Amazon. A five-part limited series, which is the brainchild of writer Jason Aaron (Southern Bastards, Thanos Rising) and artist Olivier Coipel (House of M, Siege), "The Unworthy Thor" centers around event that are highlights from Original Sin to AXIS to Thors – Battleworld, a tie-in story from Secret Wars crossover event. A journey of Odinson that has began from regaining his grace and reclaiming his title of being worthy to wield his legendary uru hammer Mjolnir once again is focus of entire plot. Long after, The Thunder Brothers of Asgard are reunited once again against a common foe and fought valiantly side by side for a common goal, which was very satisfying. 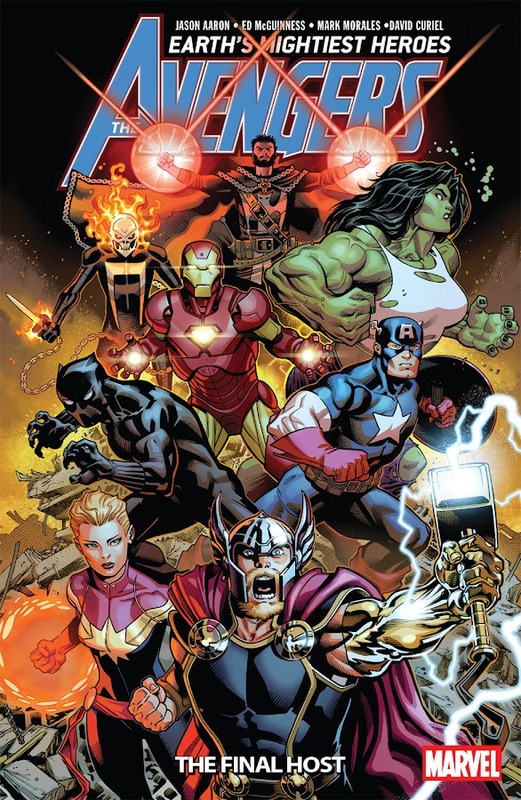 This story features a wide array of Marvel characters like Beta Ray Bill, Black Swan, Hela, Nick Fury, Proxima Midnight, Thanos, The Collector, Thori, Toothgnasher and Ulik, each of whom played their own respective parts for the story to advance forward to a direction where all of these will finally make sense. Surprisingly, Taneleer Tivan AKA The Collector in this book resembles a lot like Benicio del Toro's version of the character portrayed in live-action Guardians of the Galaxy (2014) movie. The story also hinted at a couple of point that might relate to Marvel Cinematic Universe live-action film Thor – Ragnarok (2017) and upcoming Avengers – Infinity War (2018). As the Empirikul have wiped the world clean of magic and almost killed Doctor Strange in their attempt of doing so, he is now trying to get back at his feet again and restoring balance of magic in the universe. Meanwhile, his years of pain and sufferings that took a form lately finally dub itself as Mister Misery and decide to pry on the pain of innocents to get back at his "Father". The creature of black magic raided the New York University Medical Center sensing the suffering of patients as he was starving for pain but stopped by a timely intervention of Doctor Strange. One of his most notorious foes, Baron Mordo decides to show up in town and settle his old score with Stephen this time. So, he left a message for Strange to Chondu the Mystic at the Bar With No Doors and then showed up straight at the Sanctum Sanctorum to face his rival. Even with no good amount of spells left at his disposal, Doctor Strange takes a stand against his sworn enemy but in the middle of the battle, he's been pulled away to Dimension of Dreams by the villainous entity known as Nightmare. Weirdly enough, Stephen finds himself leading a lavishing life among booze and girls but still, he finds it very odd for him. Wong and his librarian Zelma Stanton also gets entangled into the horrors as they enter the Dimension of Dreams to save the Doctor. To explore the dream that breaks Stephen Strange, Nightmare kept taunting his mind but the former eventually found a way to turn the tables upside down on the demon's face by taking all the bad-dreams people were having worldwide at that time for his own and he came out alive conquering them all. He started to taunt Nightmare at his very realm about not being able to keep him for long but is pulled again from Dimension of Dreams to another location. 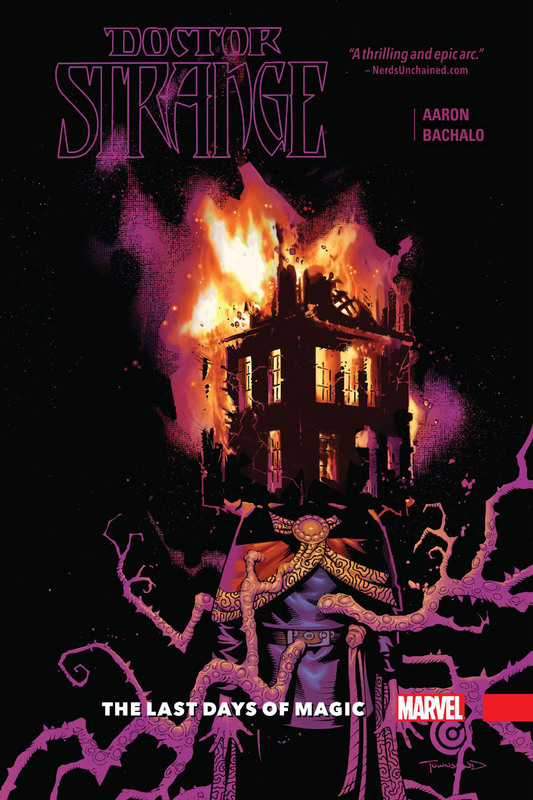 This time, Strange discovers himself in Hell and found his abductor to be The Devil's Daughter, Satana Hellstrom, who wants to make him go through his own personal hell since now she got her very own all-new, all-different Hell. So, she wanted to make Doctor Strange a star attraction of her Hell because super heroes are now a trend there too and forced him to eat pork from a pig that was possessed by demons for 400 days! Sooner than he escaped from Satana's Hell, former second-stringer villain; The Orb decides to torment the Doctor a bit as he is now powered by one of the eye of the deceased Watcher that fell on to Earth (Original Sin). Wong and Zelma got on a magical fighter biplane looking for the good Doctor to provide some aid. When he is finally surrounded by the gang of Baron Mordo, Mister Misery and The Orb, the dreaded Dormammu of the Dark Dimension makes his way on Earth to kill Doctor Strange. Here is your links to buy “Doctor Strange – Blood In The Aether" from Marvel Comics in issues on Amazon. Here is your links to buy “Doctor Strange – Blood In The Aether" from Marvel Comics on Amazon. 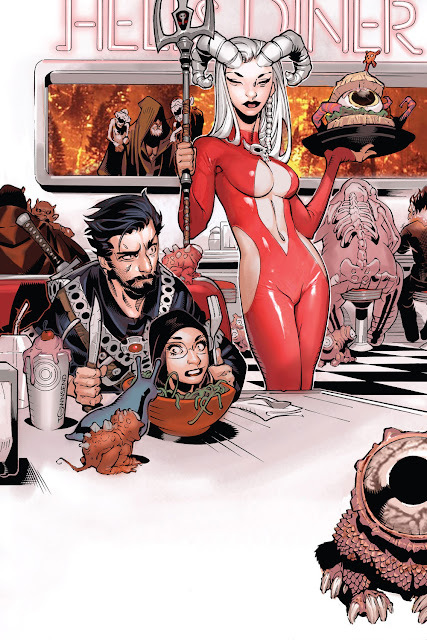 In continuation of the previous storyline "The Way of the Weird" and "The Last Days of Magic", writer Jason Aaron (Astonishing Spider-Man & Wolverine, Thanos Rising) and artist Chris Bachalo (Generation X, Steampunk) keep on to work their charm into the monthly Doctor Strange ongoing series. 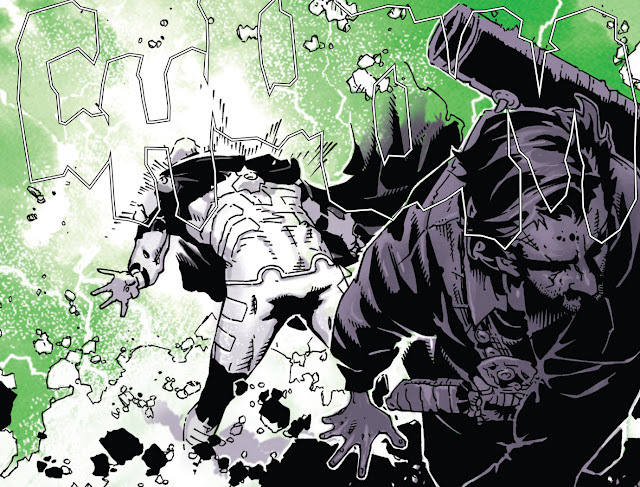 The current story arc titled "Blood In The Aether" is comprised of issues #11-16 from the fourth volume of publication of the monthly series. The new series finally came in full-circle as a wide array of Doctor Strange's rogues' gallery made appearance with the presence of his trusty aide Wong and librarian Zelma Stanton, who is growing into her own role. 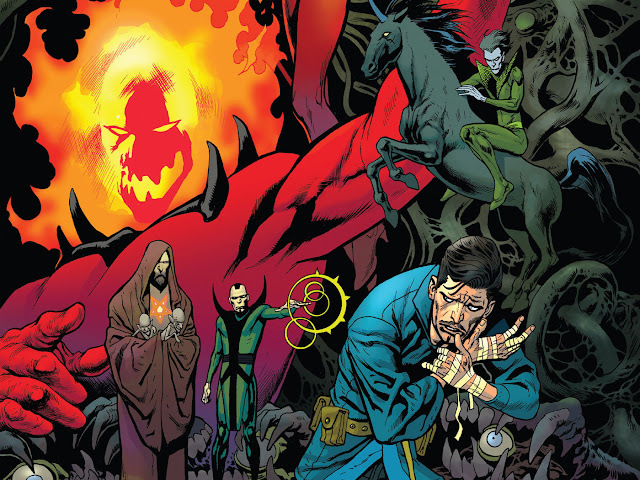 A band of his enemies consisting of Baron Mordo, Dormammu, Mister Misery, Nightmare, Satana Hellstrom and The Orb came after Doctor Strange at a time when he is the weakest and almost left without any magic left in him. This all-too suspenseful tale eventually came to an end with a much desirable conclusion and started trail of a new one as well. With the worldwide hype of the upcoming live-action Doctor Strange (2016) movie, Marvel Comics also decided to shake the mystical realms of magic with Sorcerer Supreme for the audience a bit on the pages of comic-books and there are a few references to the film as well. A dimension which’s inhabitants used to worship the ancient being known as Shuma-Gorath as a deity, sent it's worshiping Blood Monks after a child who was promised to him. These people were accused of heresy for practicing science and not devoting themselves to magic. The boys' parents gave up their life to ensure that the boy's escapes along with a group of his created Eyebots. The boy grew up hating magic for the loss of his parents for it in the first place and its wielders became his prime target for elimination because of his childhood tragedy. He now is The Imperator who leads Eyebots in his employ to hunt down and erase any trace of magic from existence by eliminating its users. As the Impirikul has finally reached Earth in search for Sorcerer Supreme of this dimension, they are hit with Atlantian Black Magic and stunned for a while. Other reputed sorcerers of Earth like Doctor Voodoo, Professor Xu, Mahatma Doom, Hellstrom, Scarlet Witch, Count Kaoz, Magik, Shaman and Talisman are also fighting the Impirikul around the globe with everything they have at their disposal. Doctor Strange notes that The Mighty Thor is weeping above the clouds for no reason he can remember of and a Ghost Rider is probably screaming somewhere as the world of magic gone cuckoo. The Impirikul attempts to enter the Sanctum but they all got caught up by the mystical defenses of the house itself. Strange was barely able to even hold him off against the powerful Imperator on the very doorstep of Sanctum Sanctorum taking non-stop blows from the attacker until he finally faded. Then when they were all lined up for execution in front of Sanctum, his old pal Monako shows up to free them all and teleport them away before meeting his impending fate. Strange and his allies goes for a quest to find every last piece of magic around the world for a last stand against the Impirikul. While making a run for salvaging whatever scrap of magic scattered around the globe, Strange is hounded by the Witchfinder Wolves of Impirikul. His companion for the road Médico Místico, Scarlet Witch and Talisman extracted from the situation before taking care of the Wolves. In the mean time, Wong makes a quick rescue of Zelma from the Sanctum and the Eyebots have unknowingly unleashed a monster hidden in the cellar constructed from pain and sufferings of Stephen Strange that have the power to unleash doom on the Impirikul. 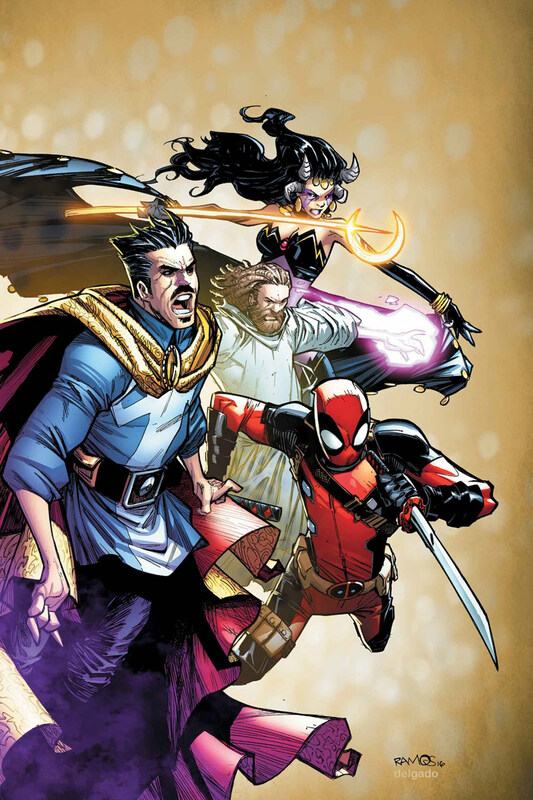 Doctor Strange and his friends eventually showed up to change the tide of the battle with all the mystical relics they've gathered but even if Strange ever manages to somehow beat them, can he restore the balance of magic in the world that has been lost? Here is your links to buy “Doctor Strange – The Last Days of Magic" from Marvel Comics in issues on Amazon. 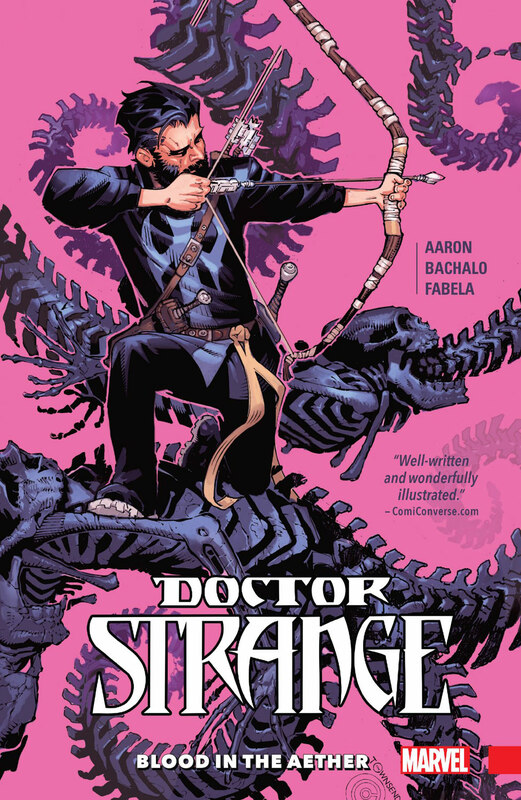 Here is your links to buy “Doctor Strange – The Last Days of Magic" from Marvel Comics on Amazon. The supernatural lore of Marvel Comics got a new villain and he is currently after every other magic-wielder; especially Doctor Strange. So, comic-book writer Jason Aaron (Astonishing Spider-Man & Wolverine, Original Sin) and artist extraordinaire Chris Bachalo (Generation X, Steampunk) is having quite an impressive run on the Doctor Strange’s ongoing series which started with ‘The Way of the Weird’ and now has reached to "The Last Days of Magic". Illustrator Leonardo Romero also served as penciller for the tie-in issue, also written by Aaron. Gerry Duggan and Scott Koblish collaborated on the tie-in that features a certain Merc with a Mouth; Deadpool for some reason we are not sure about yet. As per with the recent release of the 2016’s live-action Doctor Strange film, Marvel took this initiative to re-define the mystic elements of its large fictional universe. 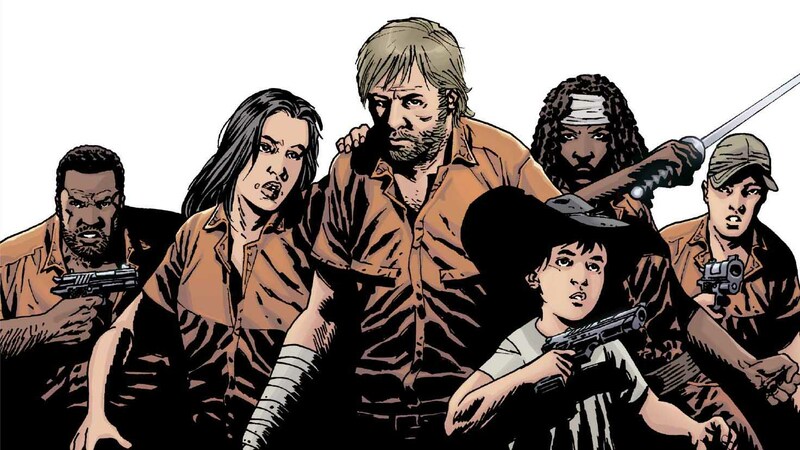 Considering that, they are getting pretty good results as in a new chapter started with its very own background and can leave out trails to create more expanding arcs or crossover from it. 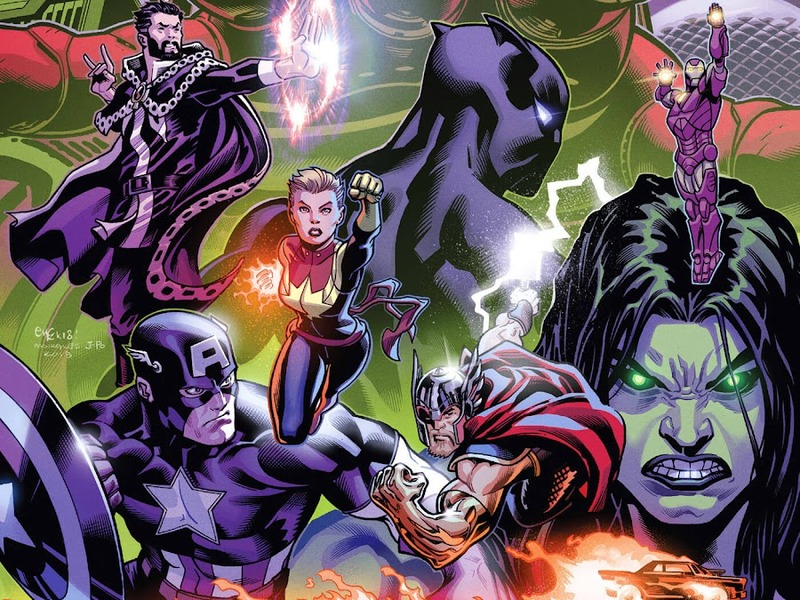 Plus, the continuation of other Marvel characters related to magic from The Avengers or X-Men appearing and teaming up with the Sorcerer Supreme himself to save the world against a menacing brand-new antagonist was an extra delight for the fans.